The word “So-lung” has been derived from two words, E (so) – Bros fontalis/Mithun, main animal sacrificed during the festival and a (lung) meaning group (herds of mithun) of Esos. It is celebrated from 1st to 3rd September and is the most important festival of the Adis. Esos (Mithuns) are sacrificed and ponung (folk dance) is performed by unmarried girls wherein the Miri (shaman) recites all about the origin of the adis and animals etc. comes into universe. it is celebrated on 7th March to herald the season of shifting cultivation. In this festival, it is customary for all male members of a family to go on a hunting spree (open season) and stay in the jungles for one week. When they return home they come back with various kills such as deers, birds, squirrels, fish etc. The children perform “Yakjong” (house to house) wearing colorful traditional attire and bless the house where they perform. It is celebrated on 15th May and is related to community fencing of the agricultural lands. In olden days mithuns were kept under large area in the jungle surrounded by fencing for protection of the crops. People worship the deities for the good health of their domestic animals and prosperity of the village. The Delong (an adi male dance form) is performed by the youths in a “Dere/ Musup”(community hall). Gampu, a community feast is also organized in the Dere wherein only males and young children can participate. It is the main festival of the Mishing tribe and is celebrated in the month of February. It is celebrated to appease the Gods for prosperity and a good harvest. It is the main festival of the Galos and is celebrated on 5th April. During mopin, the galos perform popir dance and bless households. It is celebrated for the prosperity of the villages. Popular dance form of the Adis. It is performed by the women folks during the celebration of Solung or any kind of merry making functions. It is colourful and a delight to watch the women perform it. Another dance of the Adis. It is performed by groups of Men or women or even children. Performed mainly during the Aran festival by visiting and blessing every household. Mainly performed by the men folk of the Adi community during the Etor festival in a “Dere” (community hall). Another folk dance performed by only males during the festival of Aran. It is performed to drive away evil spirits from villages. In the Tapu War Dance, the dancers vigorously re-enact the actions of war, its gory details and the triumphant cries of the warriors. It is the main dance of the Galo community performed during the Mopin festival. It is the main dance of the Mishing community which is performed during the festival of Aliaye Legang. 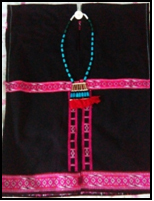 The costume of the East Siang district is colorful and vibrant owing to the fact that, all the sub tribes of the Adis has its distinctive style of dressing. 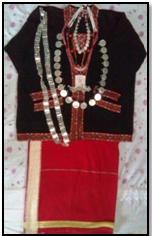 Gale (Sarong) and Galuk (blouse) is worn by the women along with a variety of beautiful shining silver ornaments. Dishes are seasoned with bamboo shoots and local herbs. Among them is the traditional drink which is made from fermented millet and is famous as “Apong”. This drink can also be made out of rice, called “Rice beer”. Rice is the dominant staple food and is generally garnished with vegetarian and non- vegetarian delights of various kinds.